Heartbreak as Jade Lally misses out on World Championship selection. 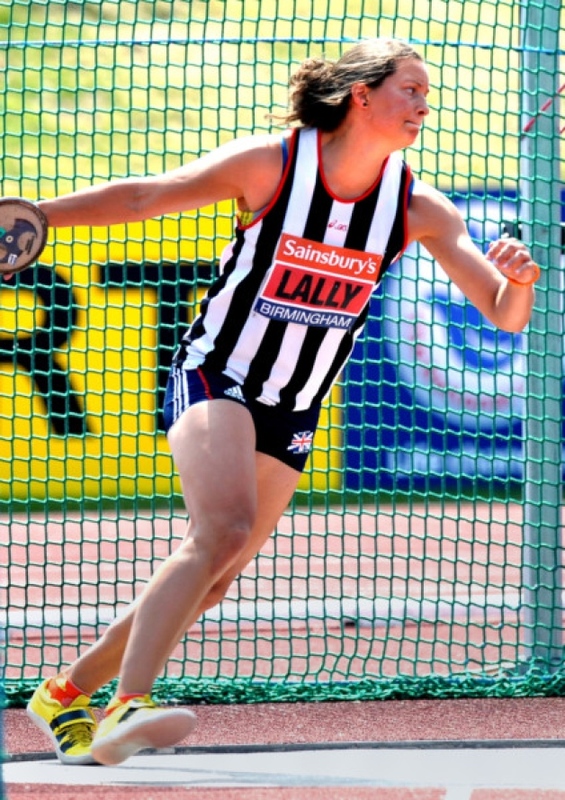 Crawley’s discus star Jade Lally’s delight at being crowned British Champion on Saturday has turned to heartbreak after missing out on selection for the World Championships. She comfortably won the national event at Birmingham by eight metres which doubles up as the trials for the World Championships to be held in Paris from August 10. Jade, from Pease Pottage, threw her season’s best distance of 60,23m to confirm her position as the best female discus thrower in the country. This throw combined with a previous throw in Helsingborg, Sweden of 59.50m to give her two B standard distances which could have been enough to seal selection. However she has not reached the A standard of 62m which would virtually guarantee a place in the team. Having missed out on competing at the London Olympics last year and the Worlds in South Korea in 2011, Jade was informed by UK Athletics today that she has again been left out of Team GB and that no other female discus thrower will be representing the country. Disappointed Jade, 26, said: “I’m thoroughly annoyed, I thought I was going to this one. I comfortably got two B standards, comfortably won the trials, am in good form and they still won’t take me. “The reason they gave was I wouldn’t contest the top eight. It’s disappointing I’m on development funding but they won’t let me develop in competition. Jade has vowed to continue her season and is aiming to break the English record of 61.22m to show the selectors what they are missing out on.